In today’s competitive global economy characterized by shorter product life cycles, increased employee turnover, and ubiquitous information technologies, an organization’s ability to manage knowledge may be the only remaining source of competitive advantage (Drucker, 1995; 1999). Even though a number of researchers have outlined the importance of adopting knowledge management (KM) practices and many organizations have given lip service to the term, there is still some ambiguity concerning what KM actually is and little attention has been paid to factors that enable effective KM to occur. 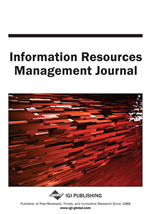 This research uses technical and human-centric approaches combined with Holsapple and Joshi’s (1998) Kentucky Initiative to investigate KM within a small information technology group. Based on the findings of our case study, we propose some factors that seem to enable effective KM and a modification to Holsapple and Joshi’s architecture of a KM episode.